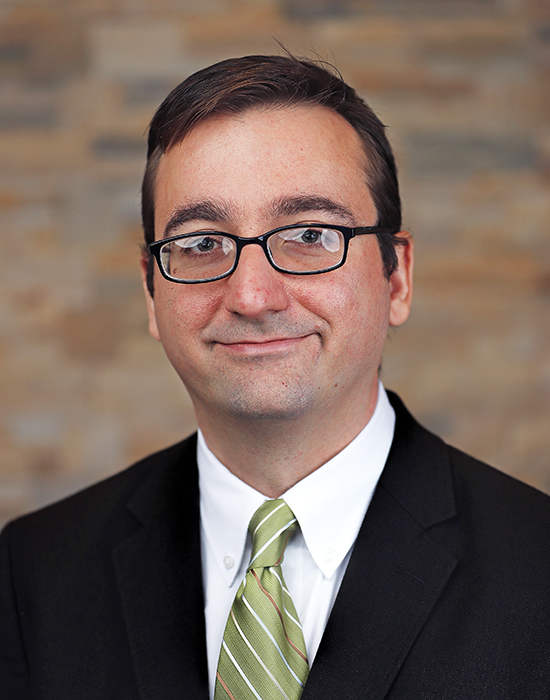 Anthony “Tony” Ghiotto joined the Campbell Law School faculty in the fall of 2017 after serving more than 11 years as a judge advocate in the United States Air Force. While serving as a judge advocate, Ghiotto developed a reputation as a skilled prosecutor and as an expert in military justice policy and practice. He teaches courses in Criminal Law, Criminal Procedure, and Trial Advocacy. During his time as a judge advocate, Ghiotto served in a variety of capacities, to include prosecuting a wide range of felonies, serving as a staff attorney at the Air Force’s military justice headquarters, and as a Staff Judge Advocate. As a Staff Judge Advocate, Ghiotto served as the principal legal advisor to the Wing Commander, all subordinate commanders, directly supervised a legal office consisting of 20 legal professionals, and was responsible for the provision of legal services to more than 3,000 active duty personnel and their dependents. Notably, he also served as a staff attorney and principal drafter to the Defense Legal Policy Board, Office of the Secretary of Defense, in its investigation and report to the Secretary of Defense as to how the military services addressed instances where American service members caused the death civilian non-combatants in Iraq and Afghanistan. He also deployed to Parwan Province, Afghanistan, in support of Operation Enduring Freedom. During his six-month deployment, Ghiotto represented the United States in more than 100 detainee review board hearings, ensuring sufficient due process and evidence existed to detain and continue detaining captured combatants. He was also one of the few judge advocates competitively selected to attend the Air Force’s prestigious Air Command and Staff College, earning a master’s degree in Military Operations and Science with Academic Distinction. Ghiotto separated honorably from the Air Force in 2017, having been selected to the rank of lieutenant colonel. He continues to serve as a judge advocate with the Georgia Air National Guard.